Two new innovative products showcased at the Southeast Builder’s Conference last month caused quite a stir. Encore Stone Products debuted its recycled granite pavers made from the granite waste created by countertop fabricators. 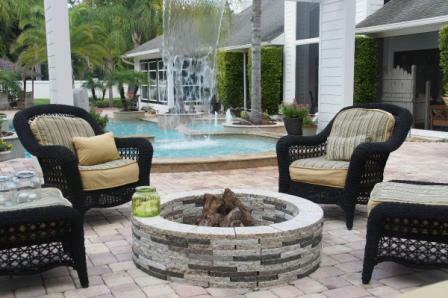 Owner Brett Maugerihas found a way to turn that granite into 100% recycled granite pavers, interior tiles, and fire pits. 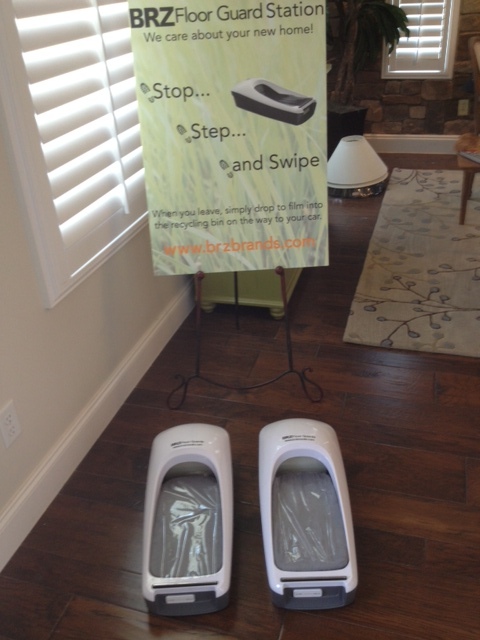 BRZ Brands displayed the BRZ Floor Guards, a product creating a specially-developed film covering for the bottom of your shoes that provides protection for carpet, tile, and hardwood floors. All you do is step into the “feet,” and you’re ready to go. The BRZ Floor Guard is crafted from recycled plastic, features a recyclable film and has a low cost per use. This entry was posted on Wednesday, October 23rd, 2013 at 8:02 pm and is filed under Uncategorized. You can follow any responses to this entry through the RSS 2.0 feed. You can leave a response, or trackback from your own site.